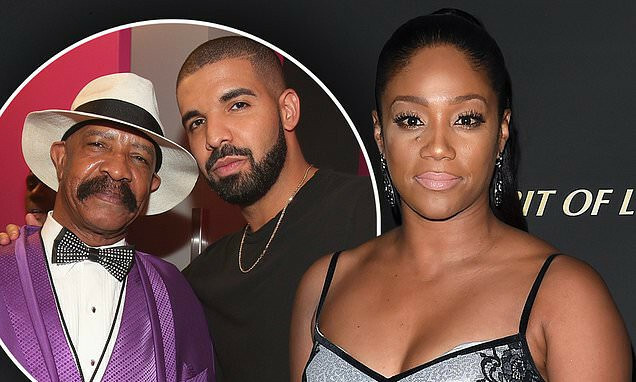 Actress and stand-up comedian, Tiffany Haddish has made another claim that Drake's father tried dating her in the past. The 39-year-old Girls Trip actress revealed to Glamour UK magazine that Dennis Graham, the father of the 'God's Plan' rapper, slid into her DMs but she turned him down because she didn't want to be Drake's stepmother. Tiffany who appeared in Drake's 'Nice For What' music video also revealed that she asked the Canadian rapper if he was taking her out to dinner but never heard from him again. She said: 'That’s because I was being thirsty – that’s my fault. I should have said, "I’ll see if I can be in your music video. What are you looking at? Are you trying to hang out with me? Ewww gross!"